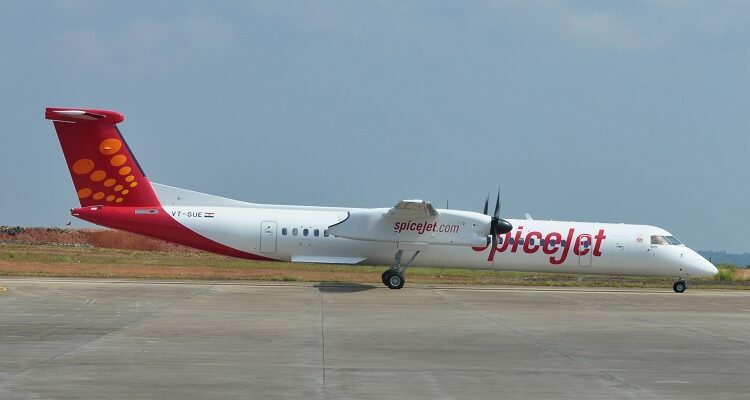 Dharamshala: The Spice Jet airlines will operate a direct flight connecting Dharamshala and Jaipur from March 31. The fare for this trip has been fixed at Rs. 3699. According to the officials, there is no direct flight connectivity between Jaipur and Dharamshala for now. The commuters have to go to Delhi airport first and then have to take a flight to Dharamshala. The new direct flight to Dharamshala will benefit a lot of commuters from Jaipur and Himachal Pradesh. A 72-seater Spice Jet’s aircraft will depart from Jaipur international airport (JAI) at 6:05 AM and will reach Dharamshala at 7:35 AM. On its return journey, the flight will take off from Dharamshala at 11:40 AM and will arrive in Jaipur at 1.05 PM. The journey will be completed in less than 90 minutes. Including a direct fllight between Dharamshala and Jaipur, SpiceJet, has announced 12 new direct flights on its domestic network, effective 31st March 2019. The new flights reiterate the airline’s commitment for direct connectivity and on-boarding non-metros and smaller cities onto the national aviation map. SpiceJet is the first Indian carrier to introduce daily direct flights on the Bhopal-Surat-Bhopal, Gorakhpur-Mumbai-Gorakhpur and Jaipur-Dharamshala-Jaipur sectors. SpiceJet is also the first budget airline to connect Bhopal, the city of lakes with Delhi. All the new flights introduced will be operational daily, except the evening flight on the Bhopal-Delhi route which will fly on all days except Sunday. SpiceJet had recently added Bhopal as its 50th domestic destination. The airline had introduced 10 direct flight services on the routes of Bhopal-Jaipur, Bhopal-Ahmedabad, Bhopal-Hyderabad and Bhopal-Shirdi. SpiceJet has now further enhanced air connectivity to the capital city of Madhya Pradesh with the addition of eight new direct flights. Deploying a mix of its fleet of Boeing 737 and Bombardier Q-400 aircraft on the routes, the new flights helps to strengthen SpiceJet’s network across Central India. SpiceJet is celebrating the launch by announcing an introductory promotional fare starting at INR 2499/- all inclusive on Bhopal-Mumbai sector, INR 3299/- on the Bhopal-Delhi sector INR 3457/- on the Bhopal-Surat sector, INR 4399/- on Gorakhpur-Mumbai sector and INR 4099/- on Jaipur-Dharamshala and INR 3699/- on Dharmshala – Jaipur routes. With the new flights, passengers from Bhopal, Gorakhpur and Dharamshala will be able to easily travel to a host of other cities both on SpiceJet’s domestic as well as international network via multiple onward connections from key metros. With the commencement of Dharamshala – Jaipur service, the number of aircraft coming to Dharamshala will increase to four. At the moment Air India is operating twice while Spice Jet once a day between Dharamshala and Delhi route.